The City of Karratha seeks to deliver a contemporary community hub in Wickham that connects the community and provides a facility that meets existing demand for community space while catering to future requirements. Big thanks to project funding partners Rio Tinto and Lotterwest. The Wickham Community Hub will provide a modern and efficient community facility that addresses the climatic conditions of Wickham and meets the identified functional needs of the community integrated within the Wickham Recreational Precinct. This project comprises a flexible multi use facility that complements the existing infrastructure and responds to the social networking and developmental needs of the families and young people at Wickham. Multi-purpose room 1 and associated external space shared with the Library and accommodating a range of community groups including playgroup and arts and crafts. Covered external Youth Centre including a skate park, activity spaces, video projection and ability to accommodate events and performances by/for young people. Refurbishment of the existing Community Hall to accommodate new users including Peak 1 Boxing Club, Muay Thai, Marshall Arts and Kinder Gym. Thanks to Rio Tinto and Lotterywest for helping us bring this one to life! An old jetty structure constructed from galvanised steel and shot creted, carved and coloured to resemble sea ravaged timber posts. The top of the jetty will comprise galvanised steel planks to provide shade. A low perimeter seating wall on the north side. We expect this project to be complete and open to the public in May 2019. Rio Tinto has committed $8m towards the capital cost and an additional $0.5m per annum contribution to operating the WCH. Lotterywest is also contributing $1.5m towards the capital cost and fit out of the building. 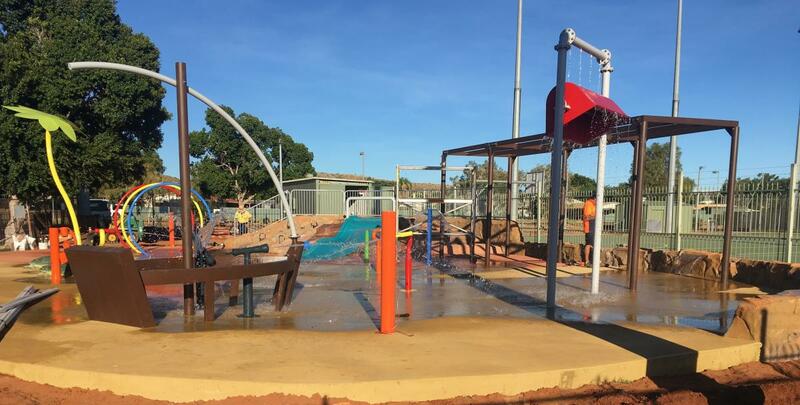 The project budget is $16m with the rest of the funding coming from the City of Karratha.